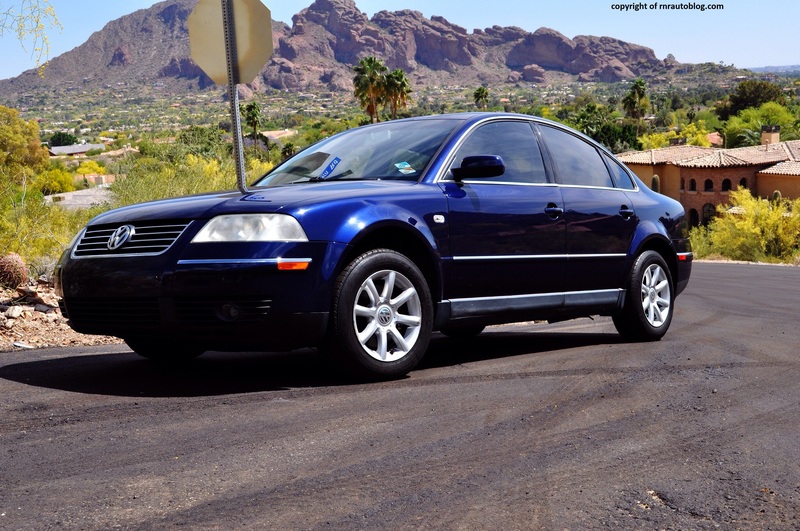 Considering the Passat’s familial relationship with the Audi A4, it is not surprising that the Passat conveys the appearance of a more expensive vehicle. Save for the condensation, the projector beams headlights help enhance the modern front end. 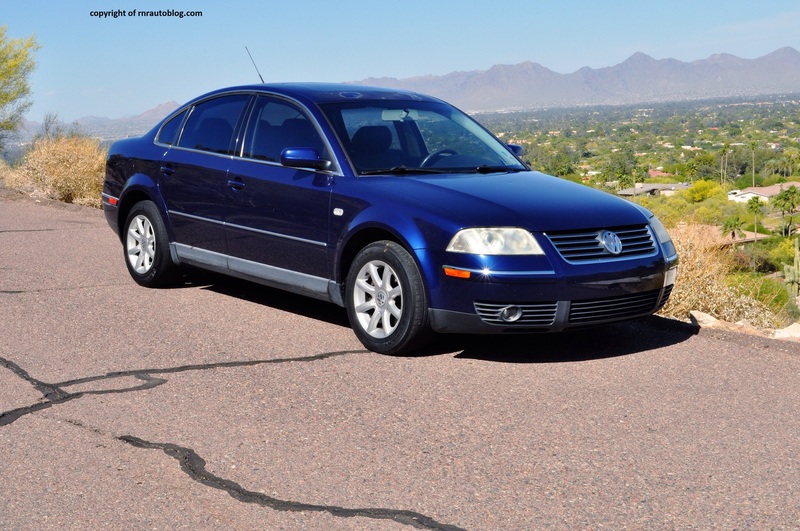 A simple but classy grille and a neat bumper design help the Passat give off a high quality feel. The conventional side profile is devoid of any character line or creases, but it is nicely accentuated by strips of chrome on the window line. 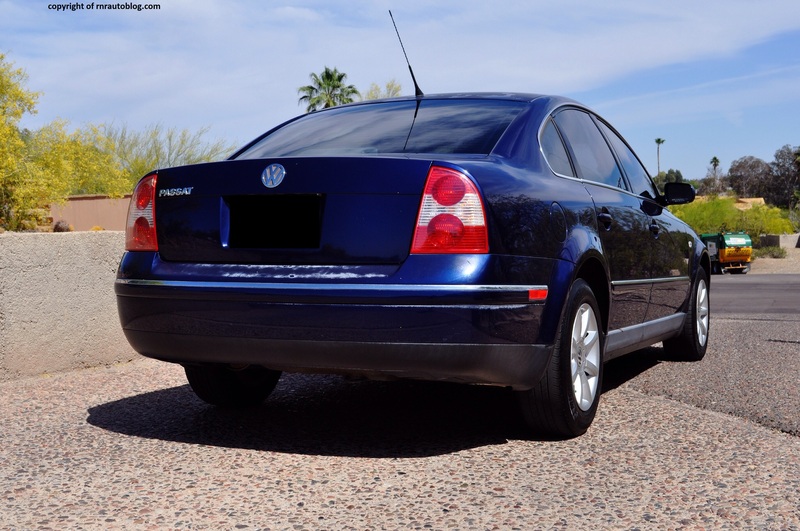 With distinctive taillights, the rear shares the contemporary look as the front. The only flaw I noticed with the design is the abundance of chrome strips on the bumpers and side as they mar the design. The interior is somber in terms of appearance, and the decor is ultimately businesslike but classy. The pale blue lighting for the gauges and the displays is a nice touch. On the road, I quickly noticed how communicative the steering is. Even on smooth roads, the steering relays subtle vibrations of the road textures to your fingertips. The steering’s ideal weighting and well contained body lean give the Passat a sporty feel. 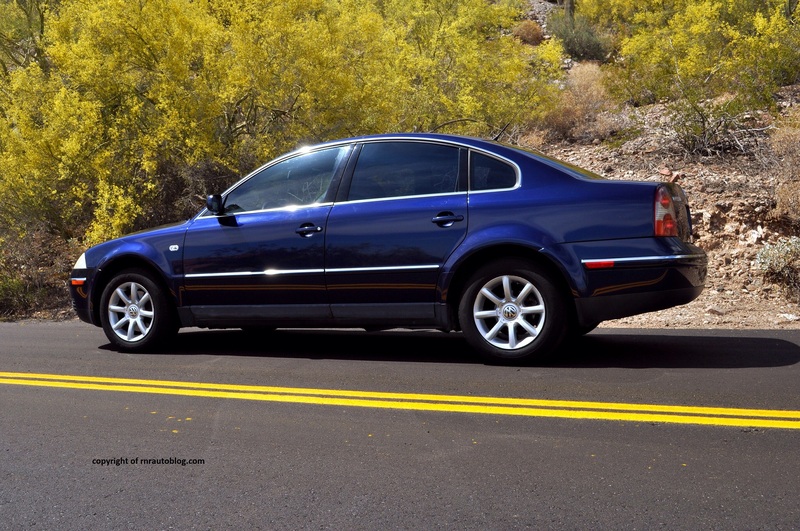 One of the reasons this Passat commanded higher prices compared to its rivals such as the Honda Accord and Toyota Camry was because of its suspension. The front suspension is a sophisticated multilink arrangement similar to what luxury cars use, and this pays dividends to its handling. 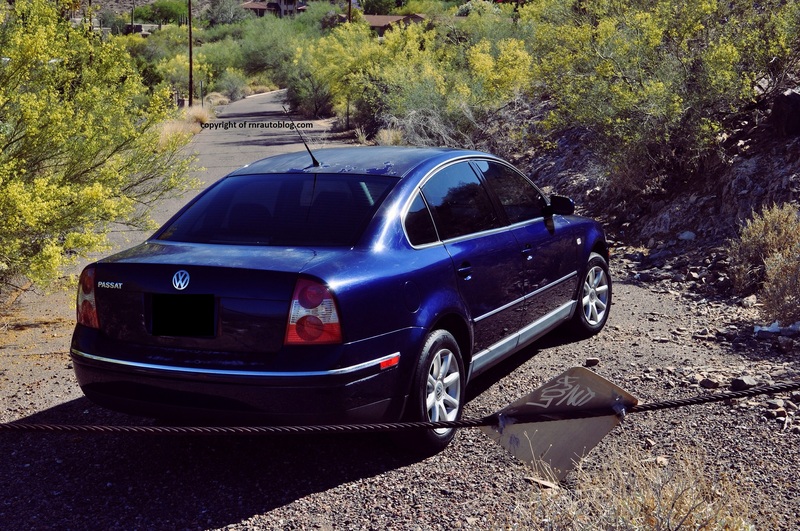 On a twisty road, the Passat never falters, even when pushed. It remains composed even over dips and mid corner bumps. This is a genuinely fun to drive car. 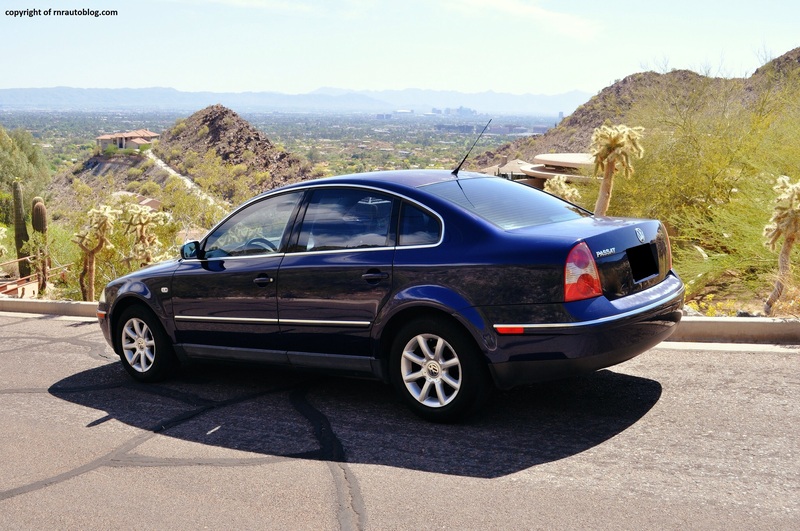 The ride quality would not be out of place in a car costing twice as much. It is comfortable as bumps are well suppressed. 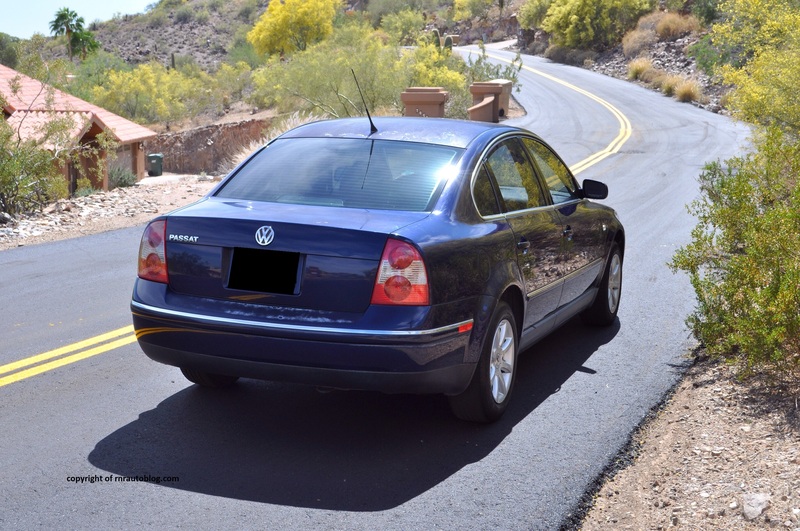 There was one perplexing thing I noticed: quick pavement changes such as different sections of roads make the Passat heave up and down. It feels floaty for a second or so, and then it settles down. 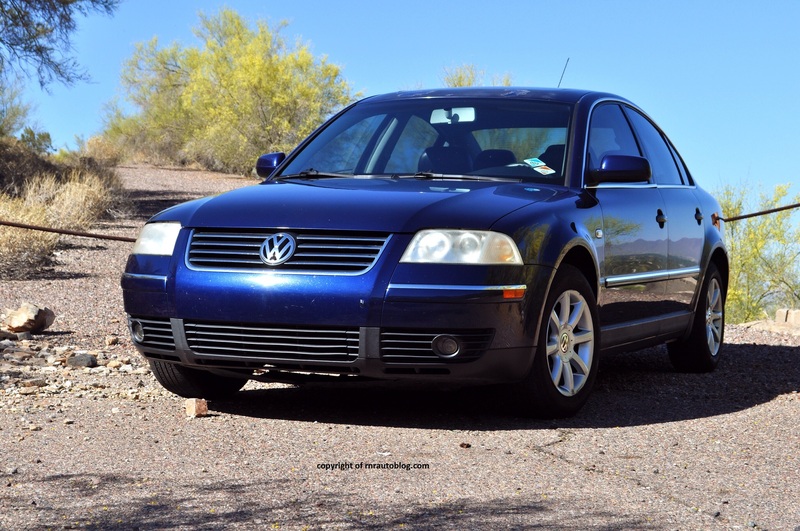 Turbocharged engines are a Volkswagen hallmark, and the Passat is no exception. 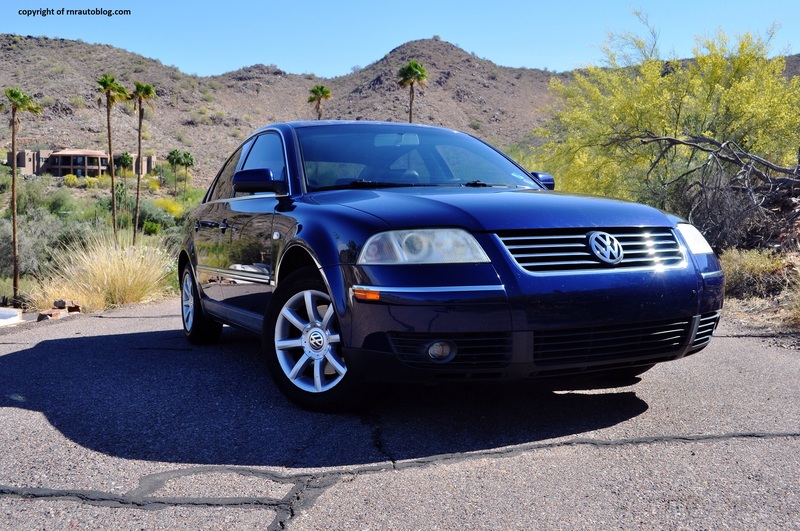 This Passat comes with a 170 horsepower 1.8 liter turbocharged four cylinder. At 1.8 liters, the four cylinder may seem weak to competitor’s bigger engines, but there is no denying power is more than sufficient. However, its flexibility is compromised due to its turbo lag. It feels lethargic coming from a stop. At 2,000 rpm, it feels gutless. At 40 mph, with the tachometer reading below 2,000 rpm, I put some pressure on the gas, and expected a response. It didn’t move much. 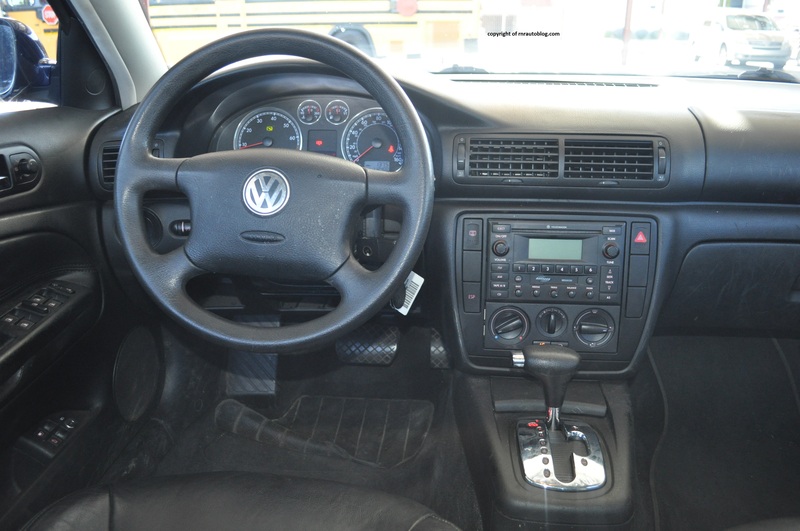 However, get past 2,500 as the turbo spools up, and it displays an impressive midrange punch. It feels much stronger when you punch it. 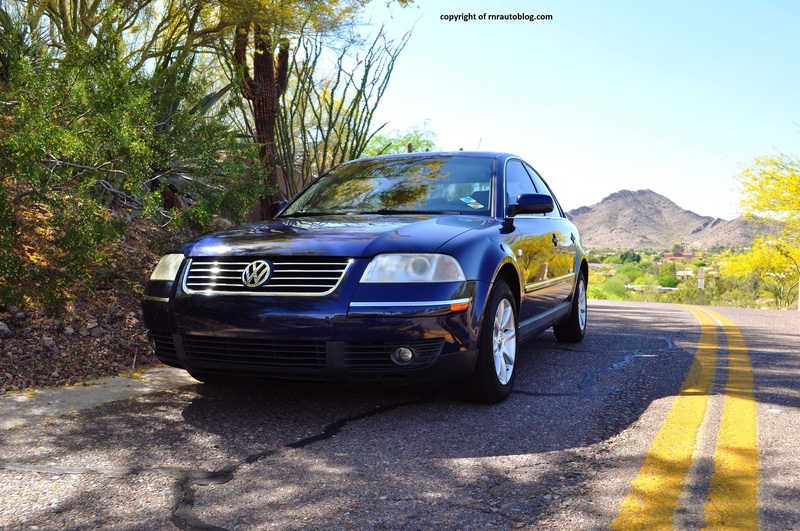 The five speed automatic transmission is partly to blame for the Passat’s lethargic performance off the line. It shifts slowly, and it hangs to revs for too long. 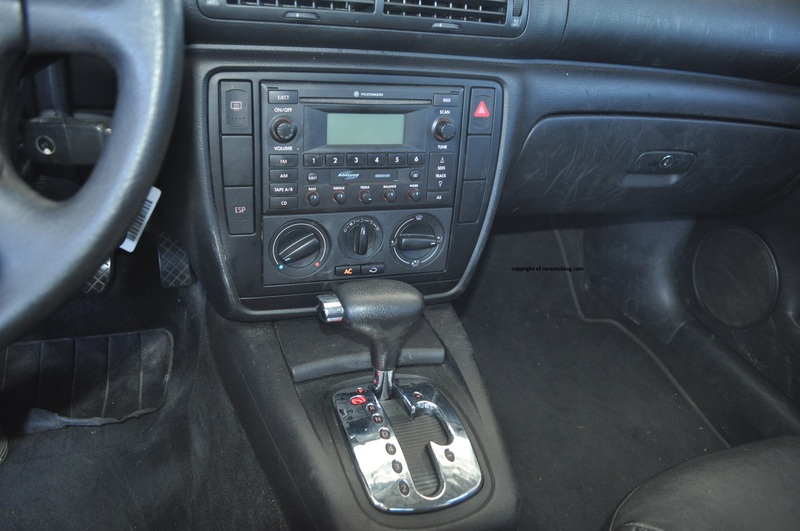 The standard five speed manual transmission suits this car much better. A 190 horsepower 2.8 liter V6 is available. Fuel economy is decent at 19 city/23 combined/28 highway mpg, but on premium fuel. 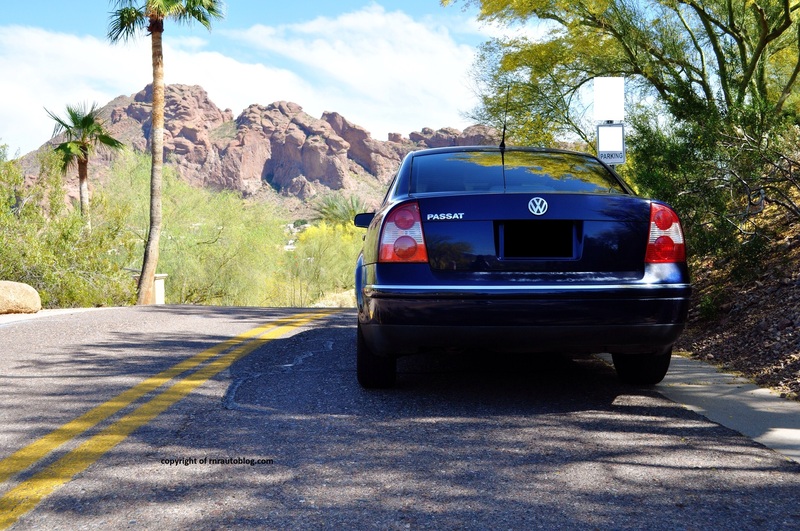 As for refinement, the Passat feels much like a luxury car with subdued wind and road noise levels. 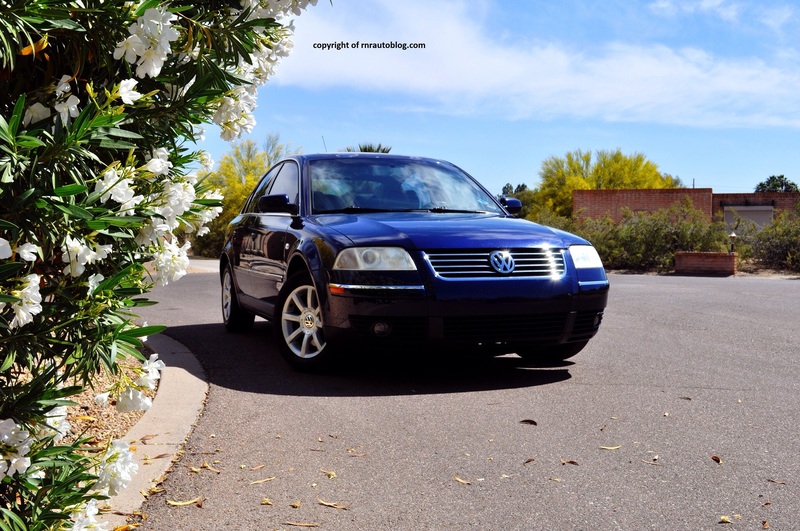 The only flaw I found with the Passat’s refinement is the engine. At idle, it vibrates and clatters. It is buzzy at low revs, but it transcends into a muted growl when you floor it. Honestly, for a car of this age, I find it surprising how this Passat’s cabin manages to feel more luxurious than some luxury cars today. Fit and finish is flawless, and most surfaces are soft touch. The front seats are comfortable albeit slightly firm but I found the manual lumber adjustment hard to use which may compromise one’s ability to find a good driving position. Excellent visibility and the airy cabin contribute to a relaxing environment. In contrast to the front seats’ firm cushioning, the rear seats are very soft. When I sat in the rear, I felt like I sunk into a sofa. They are comfortable, and they should have no problem accommodating three adults. The radio controls may seem daunting at first due to the sheer number of illegible buttons, but once you get used to them, they are easy to use. 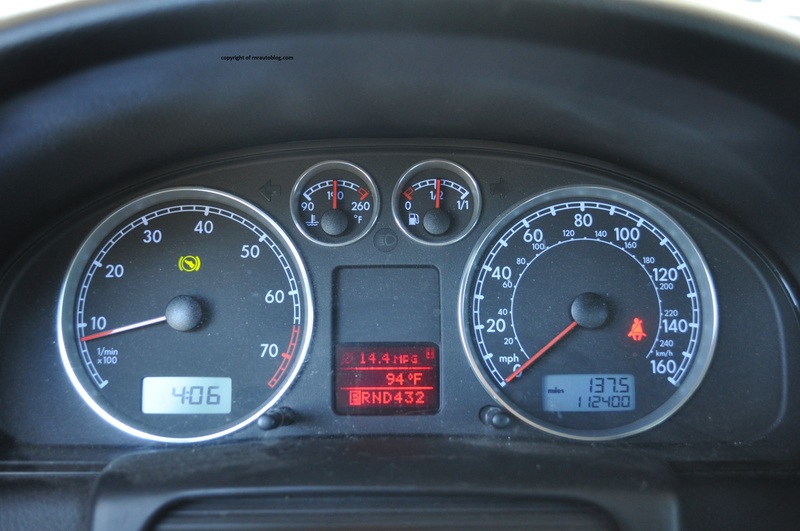 The gauges are legible and the trip computer is a handy feature (In 2005, not many family sedans had this feature). The AC system is as intuitive as they come. The trunk is a decent size, and cabin storage is adequate. Access is easy thanks to wide opening doors and the high roofline. 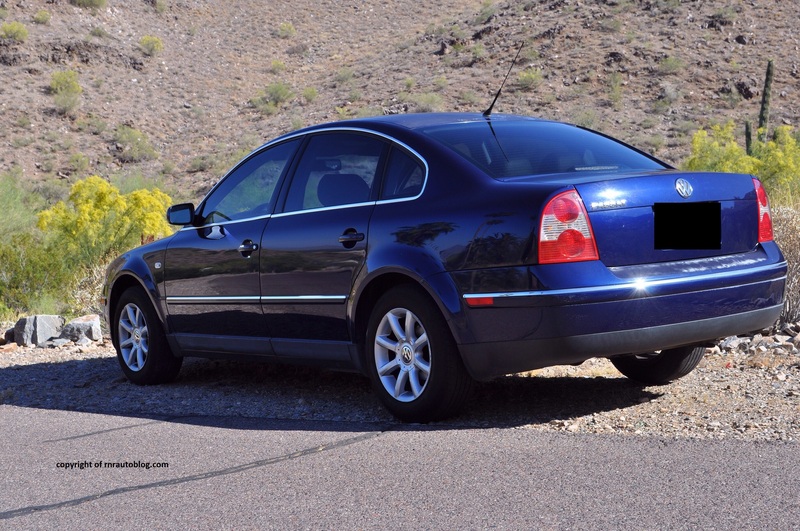 After driving this car, it is not hard to understand why the Passat garnered rave reviews from automotive publications.The German engineering is easily felt throughout the entire car. Whether it is in its engaging handling, or superb ride quality, or its luxurious cabin, the Passat has it all. It is a shame that it never sold as well as the Toyota Camry or Honda Accord. Part of this is due to the general population. In America, a car serves one purpose to most people: to get them from point A to point B which the aforementioned sedans do at lower prices. I feel that the Passat is an underdog in this field. Its priority is not to give the masses the most affordable and efficient motoring possible, but to give a German driving experience for the masses. After reviewing this car, I still cannot get over how it manages to be so comfortable yet handle well. 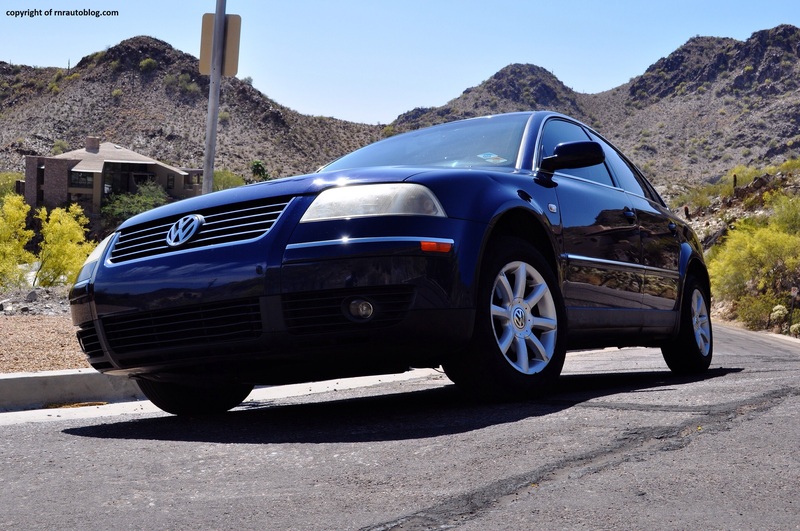 The Passat is proof of why you would feel proud to drive a Volkswagen.